Sometimes you don’t even plan the perfect thing, and it happens anyway. I didn’t mean to buy an orange bike. I didn’t need another bike, no matter what colour it was. But the orange bike crossed my path, and this little chromoly machine turned out to be one of the best things I ever bought. 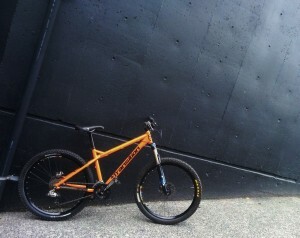 It’s now my every day commuter, my after-work trail ripper, my vacation companion when lock-up circumstances or transport are too insecure for the Banshee. 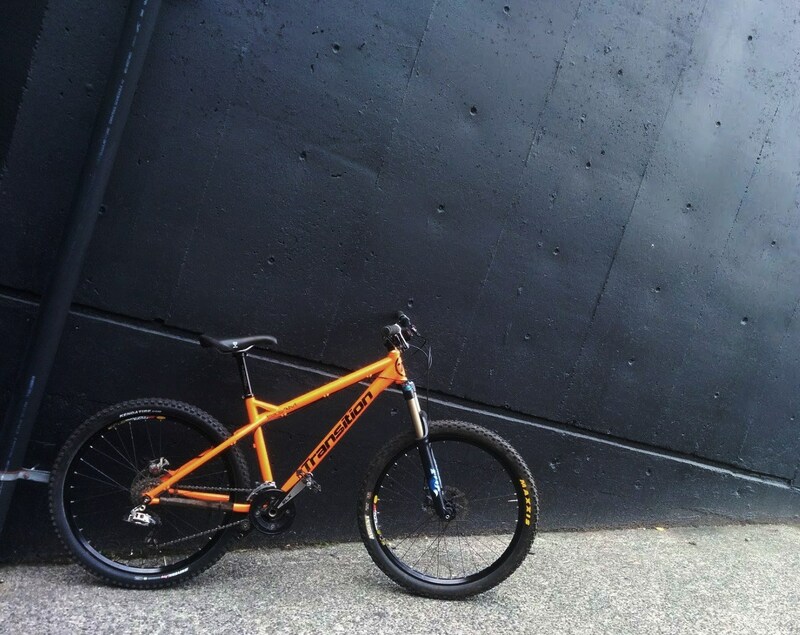 The urban playground continues to expand, and I love every moment I spend on this bike. This entry was posted in Biking, Gear on November 30, 2015 by Kay.